Halloween is just around the corner. Parents, pet owners, and kids of all ages are beginning to shop for their costumes for October 31. While many will buy ready-made costumes, this holiday brings out the do-it-yourselfer in all of us, and Amazon is an excellent source for items to create one-of-a-kind costume masterpieces. As a seller, this time of year is a terrific opportunity to capitalize on the additional holiday traffic to maximize your sales. If you consider the alternate uses for your product and include those keywords in your backend search terms, content, and social media, you might help someone create the ultimate Halloween costume! Armed with MerchantWords’ Amazon keyword data, hours of costume tutorials (and keeping in mind Amazon listing optimization), we’ve chosen four categories of everyday products used for unique and creative costumes to give you an example of how you can market your product towards Halloween shoppers. Felt: A sheet of felt can become a mask, animal ears, hats, shoe covers, or be sewn onto clothing. 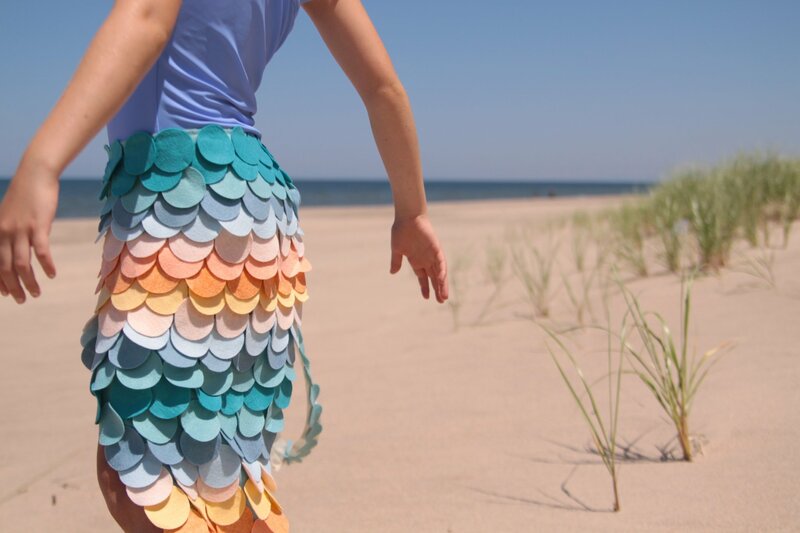 Those who are especially handy with a sewing machine can even make a mermaid tail! When optimizing your listing including keywords like “Halloween mask” and “DIY costume” can expand your customer base. If you sell multiple colors, think of the animals and characters that your colors represent. As always, check with the MerchantWords database to see which of your ideas gets the most searches. With some felt you can make this super cute mermaid tail by Benzie Design. Duct Tape: They say that duct tape can fix everything. Did you know duct tape is also is the perfect Halloween tool? It’s great for transforming a plain box into a robot or other fun design. Including keywords like “robot,” or even the names of some iconic robots (Wall-E, C3PO, etc.) can draw in customers. Duct tape dresses and costumes are becoming more popular. If you sell patterns and colors that are perfect for creating the latest duct tape couture consider including these long tail phrases in your Sponsored Ad campaigns. Or, add a photo showcasing this use for your product. Small seasonal updates can help attract more customers to your listings. Hats, Helmets, and Beanies: Pirates, athletes, cartoon characters – the possibilities are endless. A cap can bring a costumed character to life. Including potential character names in your backend keywords and manual adverting campaigns can be a significant help during Halloween. After all, who is Waldo without his red and white beanie? 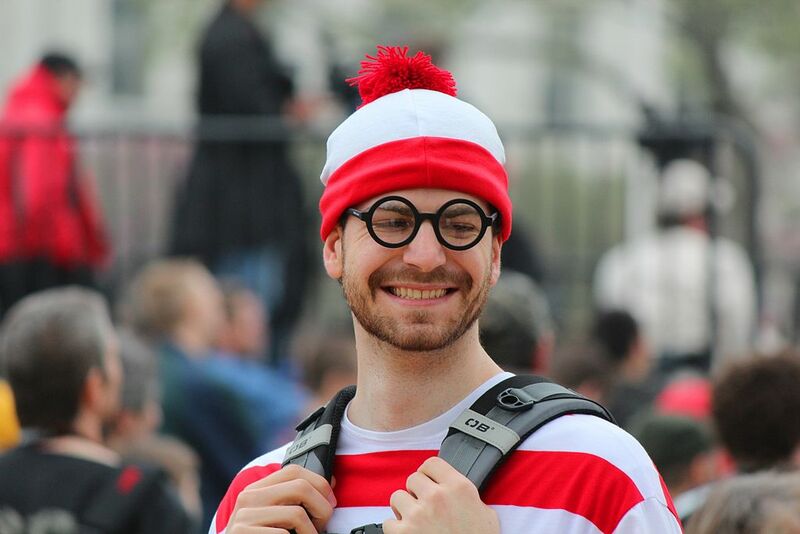 Waldo (or Wally in the UK) is easy to spot in a crowd. Headbands: Headbands are arguably the most versatile Halloween accessory. By adding fabric, felt, construction paper, or wire, they can quickly transform into animal ears, halos, antennae, and more. If you create content to promote your listings on your blog or social media, consider providing suggestions or even instructions on how to convert this hair accessory into a myriad of Halloween options. Tights: Solid, striped, polka-dotted and fishnet, to name a few. These can help trick-or-treaters stay warm, and add a pop of color or detail to a costume. If you are selling patterned tights, consider including phrases like “Halloween tights,” “trick or treating,” or a particular character’s name. Who can be the famous leg lamp from A Christmas Story without the right fishnet tights? Fishnet tights are a necessity for this Leg Lamp costume by Pleats, Scalloped, & Lace. Bathrobes: With just a couple modifications, an ordinary robe can transform your customers into Hugh Hefner, The Dude from the Big Lebowski, a crazy cat lady, a wizard, and even Obi-Wan Kenobi. “Jedi robe” had over 200,000 searches before Halloween season was in full swing. Don’t you want in on those searches? 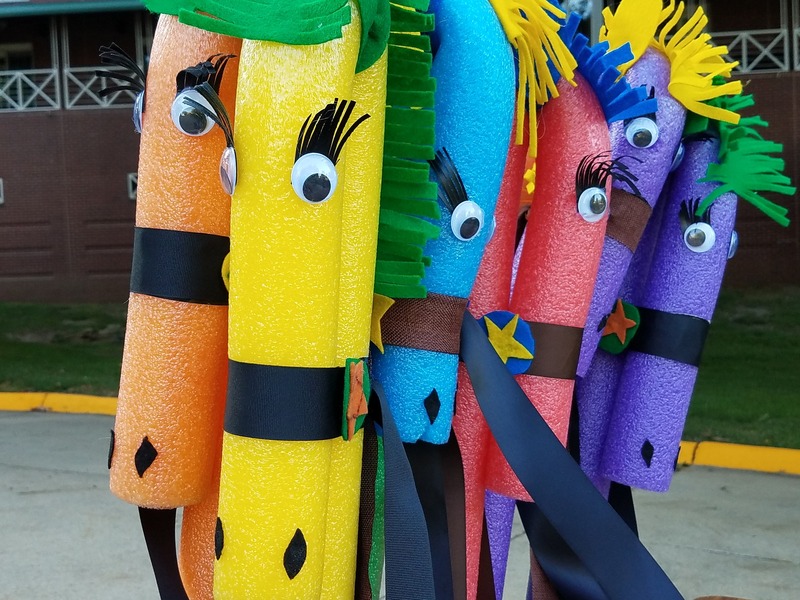 Pool Noodles: Halloween and DIY crafters provide an opportunity to extend the life of seasonal products. These foam sticks are for more than just pool play. They’re an easy and safe way to make lightsabers and other swords. If lightsabers aren’t cool enough, there are other Halloween uses for pool noodles! As the weather cools, updating your listing to include crafty applications can increase sales and impressions. Pool noodles can make awesome transportation for Halloween cowboys and cowgirls. Umbrellas: With a little hot glue and the right outfit an umbrella can easily transition to Halloween chic. If the umbrella you're selling fits a character, mention their name! So far this month, there are over 100,000 searches for "Mary Poppins umbrella." This is an excellent opportunity to identify a new niche. Mary Poppins did have two different umbrellas: a practical black one and a frilly white one. Why not sell both? While an increase in shopper traffic is always desirable, you do not want to renovate your listing for Halloween completely. 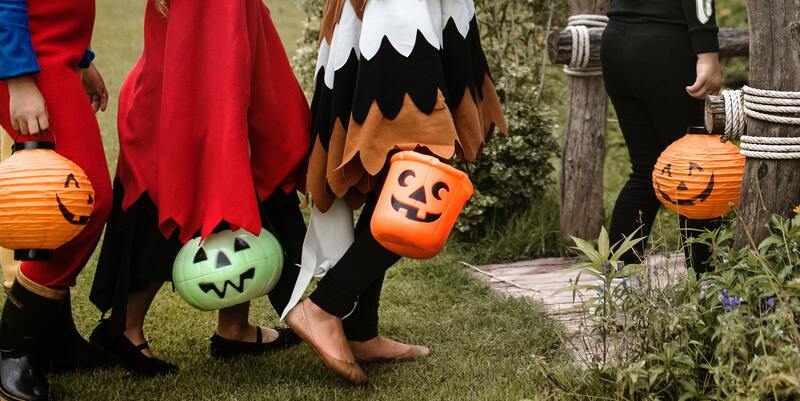 If your product can be considered for costumes or decorations for Halloween and other fall festivities, including relevant keywords in your backend search terms and advertising, can increase the chances of customers seeing your listing during their October shopping. It is always good practice to consider the many ways customers use your products when optimizing your e-commerce listings, and creating advertising and promotional campaigns year-round. Highlighting alternative product uses can extend the life of seasonal items, bring you a new audience, and ultimately boost your sales. We hope these examples help bring you a spooktacular and prosperous Halloween season!